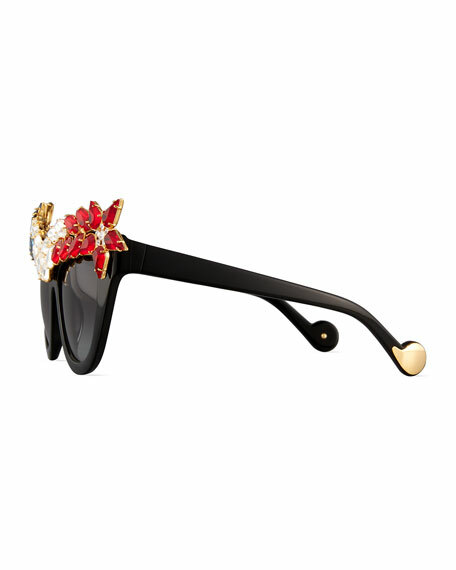 Anna-Karin Karlsson "Decadence All American" sunglasses in acetate with metal components. 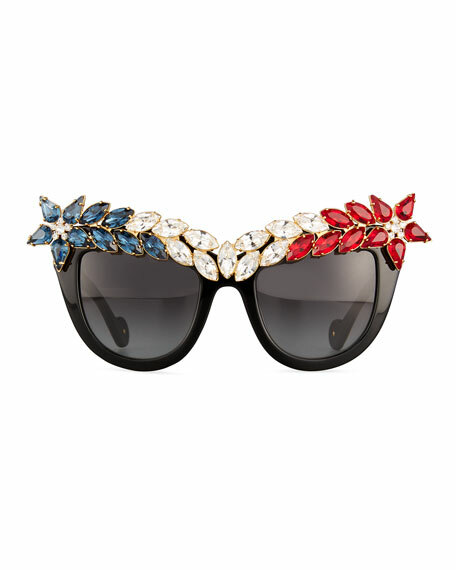 Feature red, white, and blue Swarovski® crystal detailing. Acetate frames with nickel and copper trim. For in-store inquiries, use sku #1845889.